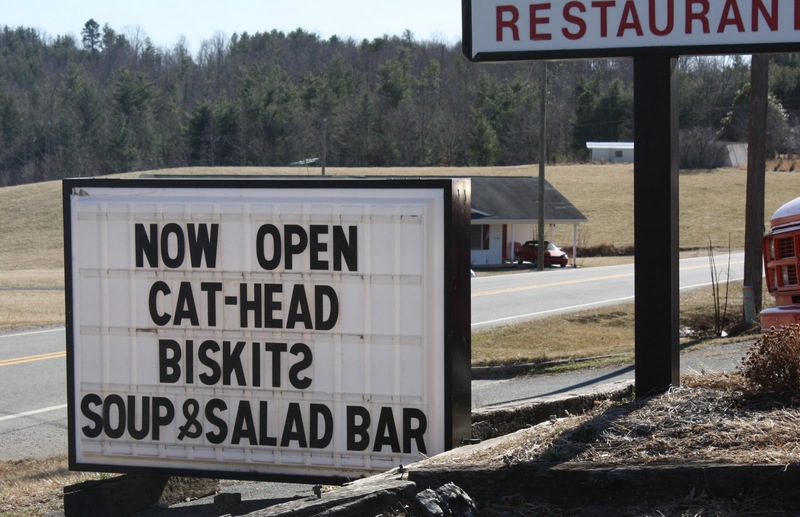 Southern as Biscuits: Cat-Head Biscuits? What is a "Cat-Head" Biscuit? I can assure you, "cat" is not an ingredient. They are light, fluffy biscuits as big as a cat's head, thus the intriguing name. I have eaten my share of cat head biscuits, but I have not made them myself yet. This is the recipe I plan to use when I do. 1. Preheat oven to 450 degrees Fahrenheit (230 degrees Celcius). 5) To make "cat head" biscuits (so called because they are large--about the size of a cat's head), simply pinch off a ball of dough about 2 1/2 inches across and pat it into a thick patty. Put the shaped biscuits into a stoneware pizza pan or large cast iron skillet (or on a cookie sheet). Bake for 15 minutes or until the tops of the biscuits are a light golden brown.